Independent artists need to work together and support one another. 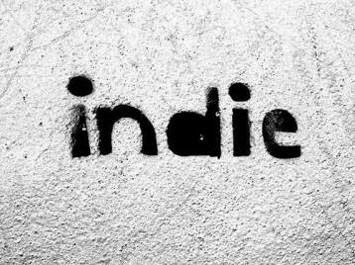 The independent scene is a community, not a competition. Agree? Look momentarily at the calendar. Lo and behold, it is already July and the Independence Day holiday weekend is already upon us. That means it’s just the beginning of summer and with the beginning of summer, comes the unfurling of concert dates, tour schedules and festivals galore. Nothing summer specific has his my schedule yet but in past week or so, I will say I have seen and heard at least 10 bands I had never known even existed prior to right before they struck the first downbeat on stage. What makes this slew of musical showings feel significant enough to write about and comment on, is the fact that these groups were each local, independent bands –some a bit more established than others– but still within a relatable enough bracket for each of them to be putting their songs out there to the public in the same accessible and still highly intimate way bands do when they are aiming for lots of buzz and a solid, loyal group of fans. It is this level of connection and type of show that I believe sometimes gets taken for granted, or possibly even overlooked by the public, as far as its rare and often too fleeting window of band-to-band connection is concerned. Yes, fans are important; particularly at the initial stage when a group is still mostly unknown outside of band member circles. However, there is something to be said for the time in a band’s development when the opposing goals of “gain enough recognition to play music all the time” and “make friends with other cool bands who are in the same boat as we are,” are able to strongly, but healthily, coexist. When are bands making the biggest, most grassroots, DIY push for artistic growth and listeners? When are bands most likely to connect, team up and work to enhance one another, whether through an EP or double show or other project, and with little to no fuss of nuts, bolts and territorial logistics? That’s not to say that artists who have “made it” don’t offer a friendly mic if a fellow musician happens to be at their show (see Michael Bublé and Josh Groban’s little on-stage chat and sing-off below) or that artists don’t pay respect/homage to one another on accomplishments that range from album releases to performances gone viral. Still, it is intriguing to contemplate the inevitable degree of transition for a band; going from having widely open arms and a sense of communal effort, to starting to hone one’s own assets and seemingly needing to care quite specifically, about things like whose merch table get the spot closest to the venue door. To say nothing of the evolution from a band playing free shows to playing shows that charge for tickets and have venue fees –a change that primarily impacts the fans first– is there even a need for that awkward in-between stage where a band stops being so casual with other acts and becomes fixated on competing for things (fans, favor, resources, etc.) or can the pursuit of joint achievement and steadfastness of community among the industry’s neophytes remain intact? The “local” piece of the equation is what makes things really interesting in evaluating and answering this question. There are those groups who have enough recognition and funds to do things like professionally record, tour, sell lots of merch but they still play a lot of the same venues, on a fairly regular basis, that were perhaps part of their venue repertoire while on a lower tier of the public’s radar. In this way, maybe all it takes to maintain a genuine sense of community amidst fellow indies, even after one’s band has grown, is to stay directly plugged in to those places. Sure, if a band has exploded in popularity, no one would expect them to go back to playing free shows all of the time but, much the same way students who are passionate about their universities can choose to stay connected as alumni even though they are no long part of that crowd that is finding their place in the world, bands that have “outgrown” their grassroots stage could choose to maintain ties, maybe play the occasionally special, intimate show for the hometown and ultimately, exist as a leader figure to those bands that come after and who then have to take on the challenge of trying to grow and reach that same level of success. There may be plenty of talk about not forgetting where one started (Here’s looking at you Jenny and Drake!) so as not to take fans for granted but, can we say the same about enough bands not taking their initial scenes and the other people therein for granted as well? The key to keeping community among the indies might just be to think of the everyone existing linearly with one another rather than as one happy family sitting at a round table. Sounds somewhat counter intuitive but when you’re working to climb over a wall, it’s your friends that are ahead of you that you reach for and that are there to offer a leg up so everyone can reach the top together, right? Happy Independence Day to my US readers! Tagged: artist image, artist relations, community, consumer behavior, DIY, Independence Day, indie artists, indie stores, leadership, Soul Sounds Inc.